Keep your private information PRIVATE. We can destroy your confidential documents. 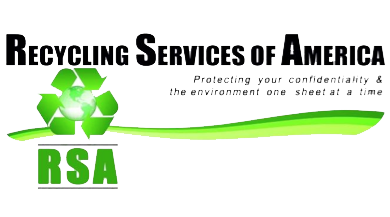 Paper Shredding has been the most common method of document destruction for the past several decades. It became the method of choice before the Paper Recycling Industry developed processes to handle the wide assortment and volume of paper it does today. As a result of these processes there are now two accepted options available for document destruction. Pulping and Shredding. We offer both. Our Pulping Document Destruction procedure provides a secure chain of custody from collection to destruction. After the process is completed we will mail you a Certificate of Destruction for your records. The pulping process begins with properly trained personnel who will collect and then transport your confidential material in an enclosed locked vehicle to our secure facility. The material is baled and then shipped in an enclosed sealed trailer to a secure mill where it is pulped. Pulping breaks the paper down into individual fibers which makes it impossible to reconstruct. Sometimes our customer’s policies require shredding for additional security reasons or simply for extra reassurance. 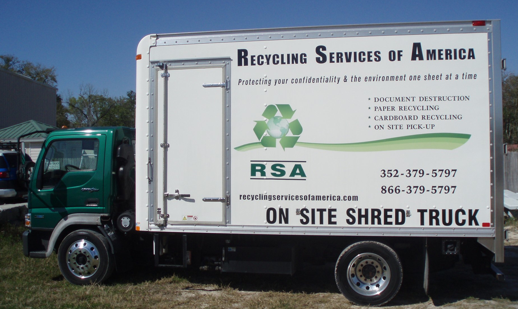 We can provide both on-site and off-site shredding to meet your needs. Whether it’s pulped or shredded all of your documents are 100% recycled!